Tape recorded evidence should be commonplace in police encounters with criminal and DUI suspects. As a Virginia DUI lawyer, I know that the United States Park police and the Pentagon police are among the law enforcement agencies that routinely do not videotape DUI and other encounters with criminal suspects. Such videotaping is commonplace for DUI cases (and needs to be expanded to all criminal cases) in such Northern Virginia jurisdictions as Fairfax County, Arlington, Prince William and Loudoun. Technical and other factors can lead to the deletion or loss of tape recorded evidence. For that reason alone, it is crucial for criminal defense lawyers early on to send a demand to preserve and provide tape recorded evidence, to the Commonwealth’s attorney/ prosecutor, the relevant police officers, and the police custodian of records. That demand should also be contained in any proposed discovery order that is submitted by the defense to the court. Routinely I receive police tape recorded evidence with sound that is garbled, insufficiently audible, overtaken by extraneous noises, or lacks body audio on the police to sufficiently hear the police and the criminal suspect. Also routinely I see police dashcam videos that fail to show the encounter with the suspect either because the suspect is taken out of the field of vision of the camera or the camera is not angled at the relevant action. Less usual today than numerous years ago is the claim of some prosecutors that video of a criminal defendant is not automatically discoverable. To proceed with such an attitude risks a prosecutorial violation both of the Virginia criminal discovery rules (which make discoverable a criminal defendant’s statements to the police) and of Brady v. Maryland (the 1963 United States Supreme Court’s essential holding that, on the defendant’s request, the prosecution must provide materially exculpatory evidence to the defense). 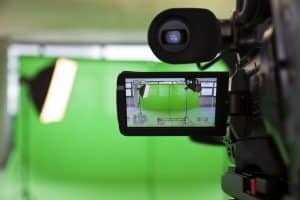 Once prosecutors and police recognize that tape recorded evidence is discoverable, there should be no issue about their taking necessary measures to preserve and organize videotaped and audiotaped evidence. Prince William County prosecutors routinely (and Fairfax County prosecutors sometimes) provide tape recorded evidence through Axon evidence.com . Evidence.com provides police and prosecutors with the option to make the videotaped evidence only viewable online or also downloadable. When the first option is chosen, that leaves the defense — in playing any of the evidence at trial — to rely on the WiFi signal in the courthouse, which is not always sufficient. It is best for the defense to request a downloadable version of evidence.com video. Moreover, when evidence.com tape recorded evidence is made available only online, that makes the police and prosecution able to know when the tape is reviewed and what portions are reviewed, which both is an invasion of attorney work product and gives the prosecution insight on what parts of the video the defense deems particularly important. Additionally, when evidence.com videotape is only made available for viewing online, that leaves the criminal defense lawyer to choose between providing his or her client with the lawyer’s evidence.com password (which I cannot do, because the same password applies to my other clients’ evidence.com videos) so that the client can view the video offsite, or else to have the client come to the lawyer’s office to watch the video, which is not feasible for clients living out of state, or for hours-long videos. Fundamentally, tape recorded evidence needs to be sought early on by the defense. Virginia DUI lawyer Jonathan L. Katz has successfully defended hundreds of DUI defendants and thousands of clients prosecuted for alleged felonies, misdemeanors and drug offenses. To discuss your case with Jon Katz, please call his staff at 703-383-1100 for a confidential consultation.